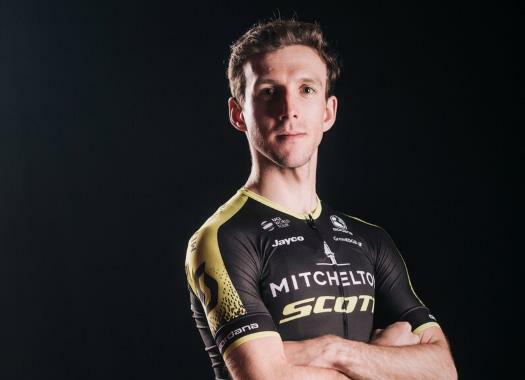 Simon Yates (Mitchelton-Scott) has managed to keep the Pink Jersey by finishing well protected by his team, though he doesn't consider himself the leader of the roster. The stage has a flat course and mostly the sprint teams took charge of controlling the race. "It was good," said Yates at the end of the day. "A very relaxed day, the right breakaway went away so it was easy for us guys. We didn't have to do too much control. It was a bit stressful on the final but it's always the same." On the day before, Yates showed a good performance by attacking in the last uphill kilometres and arriving at the finish line with his teammate Esteban Chaves. "I've been working very hard towards this, this has been my goal from the beginning of the year," he explained. "I've arrived in perfect shape so I'm not surprised to have good legs." The goals of the Briton remain intact now that he's in Pink. "We started the Giro looking to win, nothing has changed. There are too many difficult stages to come and also the time trial where I could lose a massive amount of time. We will see but we try to take it day by day." But when asked who has the leading position of the team, himself or Chaves, the rider is very clear. "He's only a couple of seconds behind, he's still close," Yates commented. "I don't really like to have this label of leader and captain. We came here as a team to win and we're doing great until now so I think we will continue as we are."